There is no doubt the country has reached a significant divide. 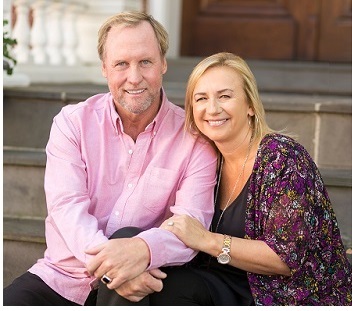 With a climate filled with fear, frustration and a breach of unity, Wave Church, under the leadership of Pastors Steve and Sharon Kelly, is poised to bring together a diverse group of speakers who will deliver messages of hope and healing. Wave Conference is a microcosm of the efforts this dynamic duo has exerted since their arrival to the United States with the hope of seeing people of all ethnicities and backgrounds work collectively toward reconciliation. Wave Church is a beacon in the community and a template for unity and family values. Wave Conference exists to champion the cause of the local church and see lives changed by God. Our mission is cultivating dreams, empowering churches, and equipping people to live better lives. With over three decades of full-time ministry, Kelly and his wife, Sharon, pastor an amazing and dynamic church while overseeing several others worldwide. Wave Church is a worship experience geared towards the entire family, complete with programs for children as well as middle and high school ages. Kelly is one of the premiere voices of a new generation of believers. His personal and practical style of preaching, complete with just the right amount of humor, compliments his sound teaching and reaches audiences worldwide. His messages render hope that is built on the abundance of God’s grace and the gift of righteousness. Over the years, Pastor Steve’s ministry has led thousands of people into a relationship with Jesus Christ, by simply sharing the message of His love, goodness, and grace. Wave Church’s primary mission is to help people live life well and find their purpose in Christ by being planted in the local church. In conjunction with Wave Conference are electives for different aspects of church and community leadership, including creative arts, church building, pastoring, business, youth conference, and kid’s camp. Some of the most influential leaders and communicators worldwide will be present and are excited to help create an atmosphere that will prove beneficial for the whole family. World-renowned speakers will visit Virginia Beach the first week in August for Wave Conference. 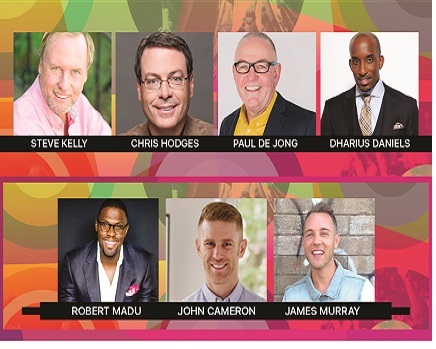 Special guests for this year’s event include Chris Hodges of Church of the Highlands in Birmingham, AL, Paul De Jong from Life Church in New Zealand, Dharius Daniels from Kingdom Church in NJ, Robert Madu, from Trinity Church in Cedar Hill, TX, John Cameron from Arise Church in New Zealand, and James Murray from C3 Cronulla Church in Sydney, Australia. The conference will also feature Wave Church’s Royal Youth Music Band which is set to pre-release their new music project, “Living the Dream” during the conference. Wave Church is breaking down walls and bringing answers in a very real way. Statistics report, over the last decade approximately 50 million Christians have left the organism called church. In fact, the percentage of American adults who attend religious services has dropped from 49 percent to less than 30 percent and the problem of the decline in church attendance is getting much worse. During a time of global unrest such as exists today, the church must be a lifeline to grace, forgiveness, and the love that Jesus reveals in the New Testament. The world is always changing and Wave Church provides a solid foundation in times of uncertainty. 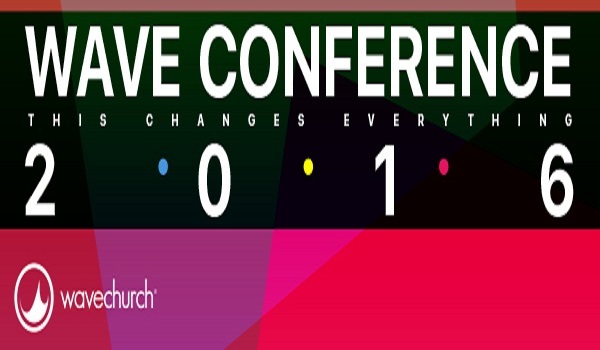 Wave Conference “This Changes Everything!” is ready to empower local churches as well as thousands of delegates from across the globe. Wave Church and its senior pastors, Steve and Sharon Kelly, are excited to welcome all attendees to Virginia Beach for this annual conference. This three-day event is perfect for the entire family and has proven, in past years, to be one you will not want to miss. Wave Conference, held at Wave Convention Center located at 1000 Great Neck Road, Virginia Beach, Va, begins at 7:30 p.m. on Wednesday, August 3 and will feature some of the world’s most prominent speakers, incredible music, and a host of workshops for every aspect of life.